We’d spend weeks in the planning. Fantasizing, devising and finally implementing, my friends and I would craft our own costumes. Most often we’d start from scratch or with bits and pieces of hand-me-down getups from Halloweens past. So much thought went into fashioning our costumes, organizing our party calendar and mapping out the trick-or-treating route that by the time we fell into bed on the night of October 31st it seemed like the celebrations had all been played out. 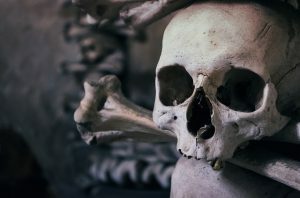 However, the secular celebrations of Halloween are really just the precursor to a Catholic trifecta of observances — All Hallows Eve, All Saints Day and All Souls Day. Admittedly, as a kid my focus was on turning myself into other-worldly characters (think the coolest hand-sewn E.T. evah!) or other species (insert images of a 4th grade sized gorilla). Therefore, it never occurred to me that I might actually be called to become a real-life superhero (of sorts). Okay, perhaps there’s no serious chance for me to land a dismount off a skyscraper or thaw out a frozen casserole with my laser-beaming eyes, but All Saints Day reminds me that heroic virtue is achievable. Whether it be the selfless courage of St. Maximilian Kolbe, the steadfast purity of St. Philomena or the supernatural gifts of St. Padre Pio, the saints show us that ordinary people can truly attain extraordinary rewards. All Saints Day has a long history in the Catholic Church. Pope Boniface IV established the holy day formally on May 13, 609 AD when he consecrated the Pantheon to Our Lady and all of the martyrs, who’d lost their lives there. In his wisdom, Pope Boniface IV commemorated the day to follow in honor of All Souls. In doing so, he ensured that the Church Militant would recall not only the Church Triumphant, but also the deceased who are awaiting their anticipated entrance into Paradise. Then, in the eighth century, Pope Gregory III moved All Saints Day and All Souls Day from May to November 1st and 2nd. There are various speculations as to the reason for the new dates, but we continue to conform to his calendar change in the Roman Catholic Church today. Though we are urged to honor and pray for the dead on both dates, only All Saints Day is a holy day of obligation. Meaning, all Catholics are required to attend Holy Mass on November 1st (or a vigil Mass on All Hallow’s Eve) unless they have a serious reason (like illness) for missing out. 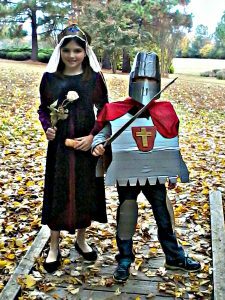 Once I became responsible for educating my own children, I realized the importance of embracing the fullness of Catholic Tradition; especially when it comes to Her saints and martyrs. I not only wanted to teach my sons and daughters about the heroic examples of the communion of saints to which they belong; I needed to keep myself connected to the awesome power of these intercessors. Who better than St. Gianna Beretta Molla is there to help me to be a more generous mother? While we still go full-throttle on our Halloween plans, we make sure not to run out of steam so soon. We always set Mass as the priority on November 1st. And since the children often participate in a saints party or two, we’re apt to discuss the lives of the saints and lessons contained within them. Of course, a knowledge of the saints and our duty to pray for the dead aren’t simply actions confined to two days on the calendar. We can and should recall our fellow sojourners who’ve gone beyond the veil throughout the year. However, All Saints Day and All Souls Day provide us a unique opportunity to immerse ourselves more deeply in the beauty of the Catholic faith. 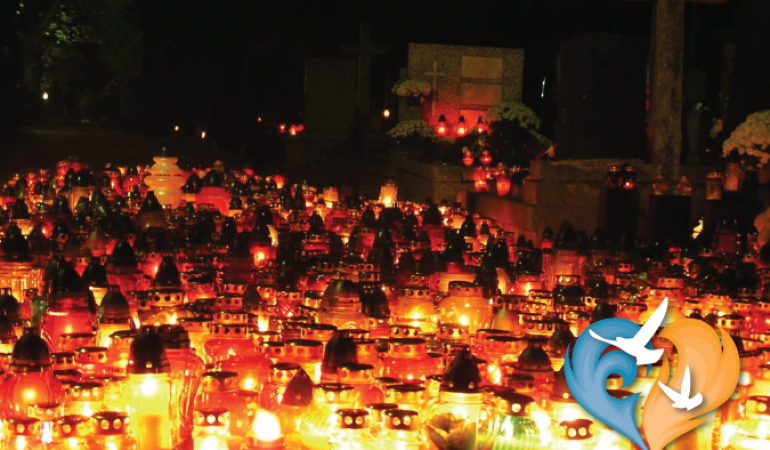 How do you celebrate All Saints Day? 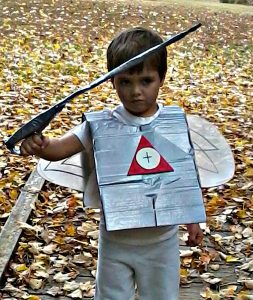 Host an All Saints party or swap a traditional Halloween costume with a holier version. Remember, most saints were ordinary people, so your garb doesn’t need to be elaborate. Focus instead on the symbols associated with the saint you are portraying (e.g. St. Joseph would carry carpentry tools, St. Lucy holds her eyeballs on a dish). Find symbols of the saints at SymbolDictionary.net. Read a book or a short online biography about your patron saint. Share with your children the reason for choosing to name them for a particular saint. Carve a pumpkin with the symbols of a favorite saint. Pray the Litany of the Saints. Visit a graveyard on All Souls Day and pray especially for those who have no one to pray for them. Light a candle in memory of deceased loved ones and offer a rosary in their name on November 2nd. While All Souls Day isn’t a holy day of obligation, attending Mass on November 2nd (in addition to the previous holy day of obligation) is a beautiful way to honor your deceased loved ones.